Try these kitchen secrets to please your taste buds without turning your meals into calorie bombs. If you consider yourself a healthy eater, you’ve probably come to rely on a few nutritious standbys, like lean protein, steamed veggies and whole grains. But how many times a week can you have grilled chicken, steamed broccoli and brown rice for dinner before you’re banging your head against the wall? You might think the answer lies in high-calorie marinades or fatty cream sauces to make dishes fun and exciting again. The good news: There are plenty of ways to please your taste buds without adding a calorie bomb to your dish. Read on for 19 kitchen secrets for jazzing up ho-hum meals for 10 calories or less. Is Your Diet Too High in Sodium? This juice is a great way to finish off a dish with zesty tang. “It’s delicious over a salad as a citrus dressing (mix one tablespoon olive oil with the juice of one fresh lemon), or season chicken with fresh lemon and sautéed garlic,” suggests Lisa Stollman, RDN, author of The Teen Eating Manifesto: The Ten Essential Steps to Losing Weight, Looking Great and Getting Healthy. Choose fresh-squeezed over the concentrated variety for a natural flavor. Peel a raw cucumber and add slices to a water pitcher for a refreshing spa-like beverage. 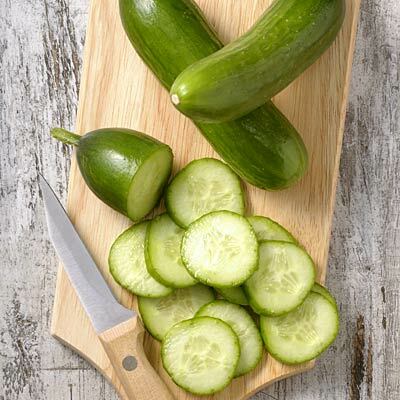 Not only does the flavor of the cucumber enter the water, some of the cucumber’s nutrients do too, including vitamins C, A, K, iron, calcium and potassium. Munching on the cucumber slices will of course score you maximum vitamins and nutrients. Add two tablespoons orange juice to one tablespoon olive oil to make a citrus dressing for salads. Orange juice is packed with immunity-boosting vitamin C and may help protect against certain types of cancer. Choose calcium-fortified OJ to help meet your recommended daily calcium intake. Most hot sauces have fewer than five calories per teaspoon, so a few shakes will really kick your dishes up a notch without adding many calories at all. Add it to grilled chicken or air-popped popcorn instead of piling on the salt and butter. Add one to two teaspoons of the popular Indian spice to roasted vegetables and serve over brown rice, suggests Stollman. Curry is also a delicious seasoning for tofu, chicken and sautéed vegetables. Some preliminary studies have found that curry may help with cognition function, and might help protect against heart disease and cancer, though more research is needed. You’ve been sprinkling it on your pizza slices for years, but this spice can also be used as a rub for red meat and chicken. Add fresh or dried oregano to your salads, or combine it with lemon juice for Greek-inspired fish and chicken dishes. Cumin seeds have a nutty, peppery Middle Eastern flavor and can be added to dishes as seeds or ground up in the form cumin powder. The peppery, iron-packed addition pairs perfectly with chicken and can be tossed on popcorn for a savory snack! This Indian spice has potent anti-inflammatory properties, and has been shown to aid with digestive problems and pain relief. Stollman recommends adding a teaspoon to rice, beans and soups to impart a mild, spicy flavor and a beautiful yellow color. Add one teaspoon turmeric to one tablespoon olive oil and chopped onion. Sauté and add diced zucchini or eggplant. Serve over rice as a delicious vegetarian-friendly main course or as a side dish. If your only experience with fresh ginger is when it accompanies your sushi dinner, it’s time to get friendlier with this plant root. Ginger is delicious when grated and added to salads, or, add slivers of it to teriyaki sauce as a marinade for tofu or chicken, suggests Stollman. Ginger has been used in Chinese medicine to treat issues like upset stomach, nausea, vomiting and other digestive issues. Tuck sprigs of fresh rosemary into the nooks and crannies of a whole chicken before baking for a fragrant flavor that’ll seep into the juices. Or, season veggies by adding one to two teaspoons of dried rosemary to sliced baked potatoes and other veggies before you roast them in the oven. Rosemary is a good source of iron and calcium, and contains anti-inflammatory compounds, which may help boost immunity. To cut calories when sautéing vegetables, chicken or fish, replace some of the oil with vegetable broth. Pair one tablespoon of oil with one tablespoon broth as needed. You’ll add flavor without calories and fat! Vegetable broth can also be used as a low-calorie way to flavor mashed potatoes or mashed cauliflower dishes. Choose the low-sodium variety to help keep salt intake in check. To add rich flavor to plain veggies, sauté two teaspoons finely diced onions and one teaspoon garlic with a teaspoon of olive oil or cooking spray. Then add fresh chopped veggies, like broccoli, green beans, snow peas, peppers, spinach and more. These flavor-packed vegetables are delicious as a side dish or can be mixed with 1 cup of whole grain pasta or quinoa. Flavored vinegars are a fun, fresh way to add sweetness without calories. Most people stock white, balsamic, cider and/or red wine vinegars in their cabinets, but you can get more creative and elegant with a port or champagne vinegar as a base for pasta salads, marinades, coleslaw and regular salad greens. These shelf-stable products are great low-calorie ways to add flavor to your smoothies, especially if you’re using protein powder and want to mask the taste. You can also sprinkle them on yogurt, low-fat ice cream, or on vanilla puddings to awake your taste buds. Get 7 buzz-worthy recipes for coffee lovers here! Satisfy chocolate cravings and add a touch of sweetness to snacks and meals by sprinkling on unsweetened cocoa powder. Make you own chocolate-flavored nuts by sprinkling cocoa powder on raw almonds, peanuts and hazelnuts, or add a dash to smoothies, oatmeal, puddings and yogurt. One tablespoon of unsweetened cocoa powder contains three to nine percent of the recommended daily intake of iron, manganese, magnesium and zinc. Cocoa also contains flavonoids, antioxidants that help prevent inflammation and promote blood flow. This versatile spice is perfect when you need a bit of a sweeter flavor without adding calories. Add cinnamon to your coffee, oatmeal, vanilla or plain yogurt, or sprinkle it over nuts to make your standby snack taste more like dessert. Some research suggests cinnamon has anti-inflammatory benefits, cardiovascular benefits and possible cholesterol-lowering benefits. Use tea as a spice by simply grinding up the tea leaves and using them as a delicious rub for a fresh Asian-cuisine flavor, suggests Alexander. Or, try using leftover brewed tea as a marinade for meat like chicken. Ground matcha green tea can work well as a garnish, spice or rub, or try Lapsang Souchong tea in a Chinese smoked duck recipe to really up the “wow” factor.